Road and Track Magazine recently posted an article about the Show or Display exemption and my 1990 Nissan Skyline GT-R NISMO. Thanks to Chris and Alex over at Road and Track. Head over to Road and Track to check out the article and all the pictures. 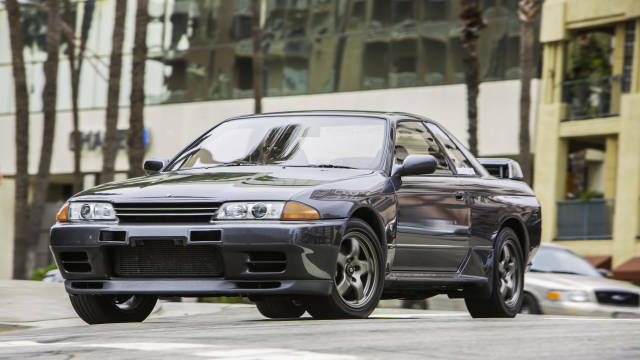 For more information on the Show or Display R32 GT-R, check out Show or Display. com. A rule permitting entry of nonconforming motor vehicles for purposes of show or display became effective on August 13, 1999. If you wish to import a vehicle for show or display, you must apply to NHTSA for permission to do so and establish that the vehicle is of such historical or technological significance that it is in the public interest to show or display the vehicle in the United States even though it would be difficult or impossible to bring the vehicle into compliance with the Federal motor vehicle safety standards.